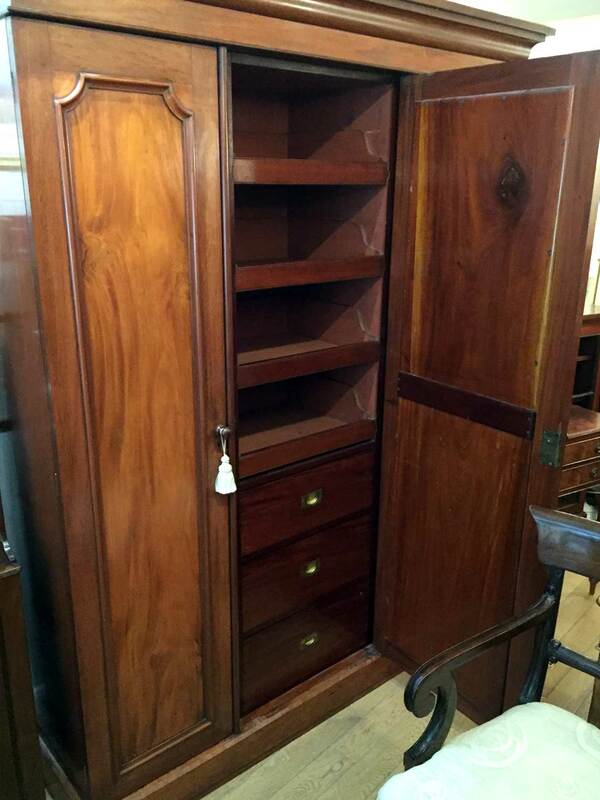 Victorian Mahogany Wardrobe Compactum comes apart in 5 sections and has three full length doors. 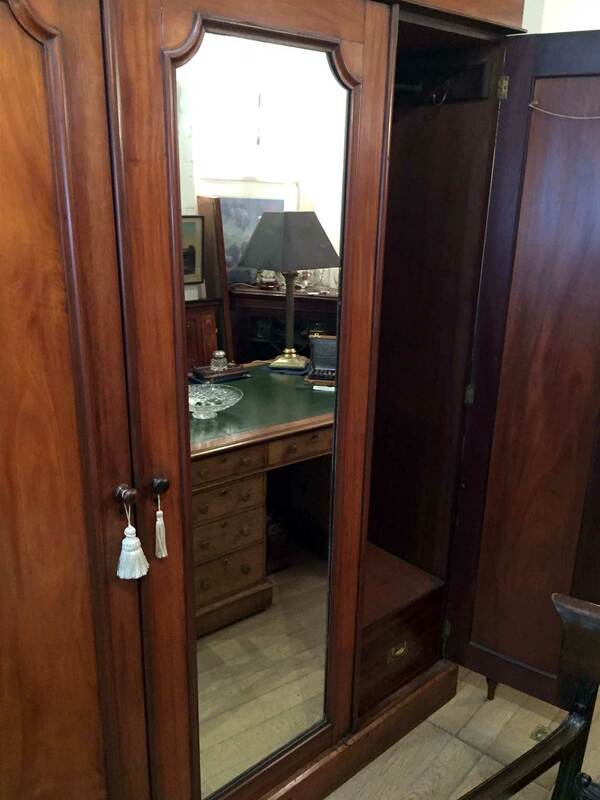 The central door is mirrored and the two outer doors have beautifully figured panels with arched moulding. 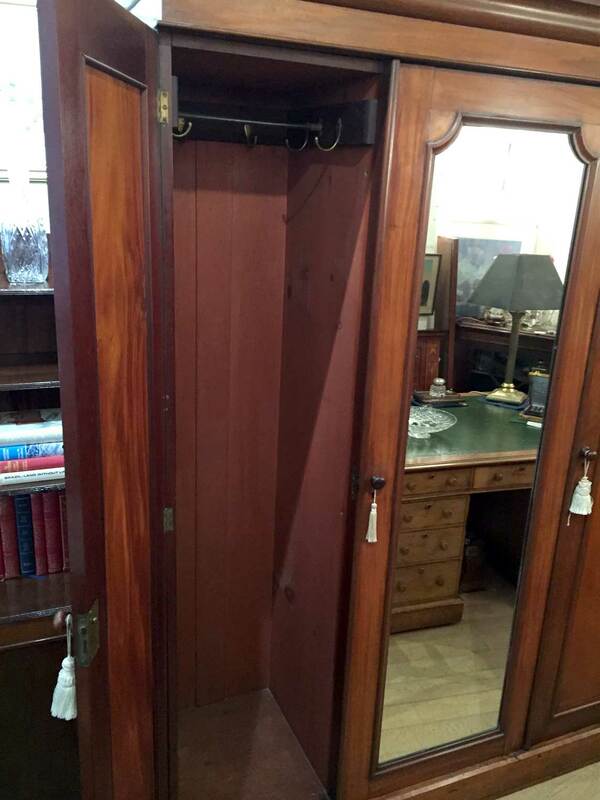 The right hand & left hand interiors have hanging rail and hooks whilst the middle mirrored section has four mahogany lined sliding trays and sits above three mahogany drawers with brass inset handles. 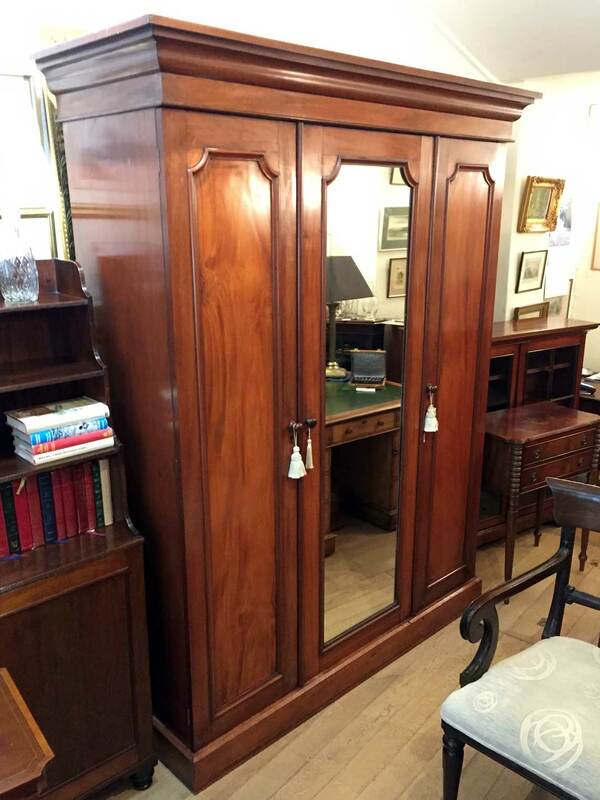 This quality piece stands on a plinth and original cornice to top.